Juventus and Borussia Dortmund are leading the chase for Borussia M’gladbach midfielder Mahmoud Dahoud, according to the football transfer rumours in German Media. Mahmoud Dahoud has joined Borussia M’gladbach from Fortuna Düsseldorf in 2010. The 21 year-old has a valid contract with Borussia M’gladbach until the June 2018. Since his arrival from Fortuna Düsseldorf, Mahmoud Dahoud has scored six goals and provided 14 assists in 73 games for Borussia M’gladbach, including one goal and provided five assists in 29 games in all competition this season. Mahmoud Dahoud has also represented Germany at Under-18, Under-19, Under-20 and Under-21 level, winning 18 caps across all age groups. The 21-year-old is considered to be one of the best young midfielders in Bundesliga. The Germany international has been in fantastic form for Borussia M’gladbach this season. 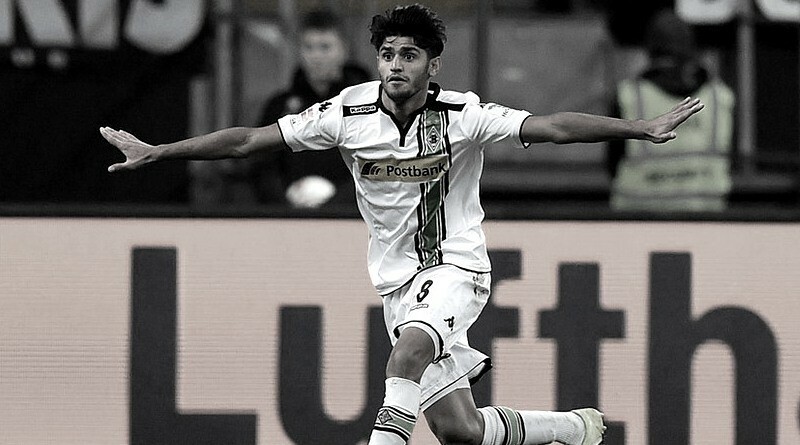 Mahmoud Dahoud has been long term target of Massimiliano Allegri and Thomas Tuchel as the managers look to bolster their midfield options for the next season. Euro Football Rumours understood that the 20-year old is perfectly fit the profile of midfield player Tuchel wants to target in the next transfer window. How strong that interest is and whether Juventus and Borussia Dortmund will make a summer move remains to be seen but it is certainly one worth keeping an eye on.